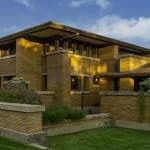 If you haven’t been to Buffalo in the last 5 years, and think that you know this city, you might want to think again. 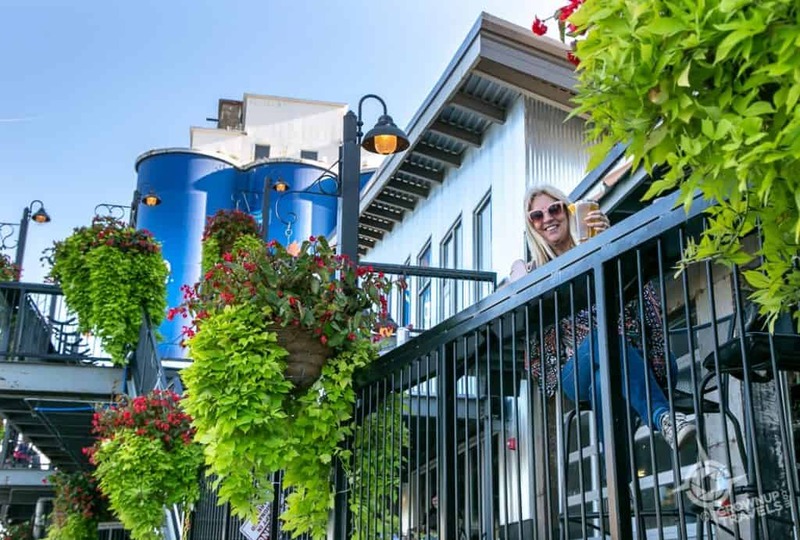 Buffalo has been reinventing itself over the past few years, with new life being breathed into old neighbourhoods, enticing both locals and visitors to come experience a very different Buffalo. Nowhere is this change more evident than at RiverWorks on the Buffalo waterfront. Here, once-defunct commercial warehousing lands have been repurposed into a popular year-round destination, offering things to do both day and night on the banks of the Buffalo River. And it’s during summer that this reimagined Buffalo waterfront area really comes to life. Buffalo’s RiverWorks may just be the ‘poster child’ for imaginative re-purposing of warehouse ruins. 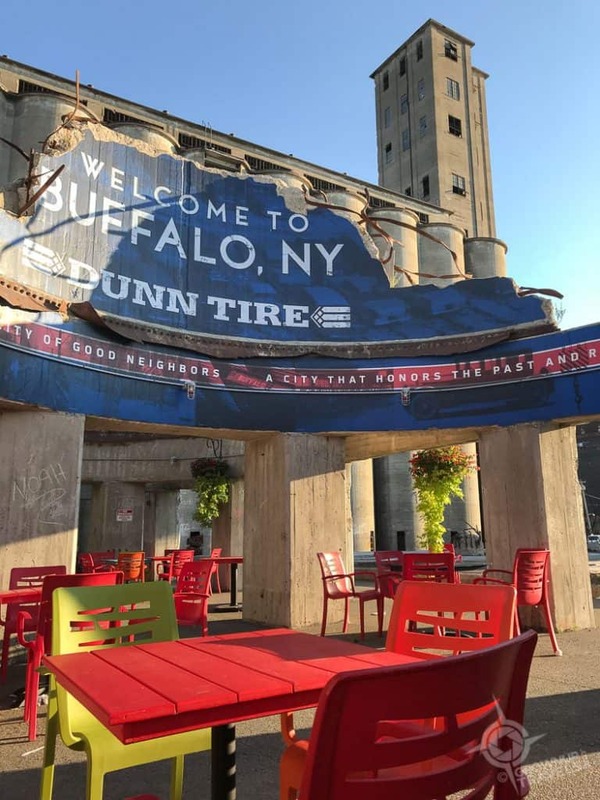 A site dominated by abandoned grain silos and half-demolished concrete foundations sprouting twisted rebar has become an industrial-chic playground for all on the Buffalo waterfront. 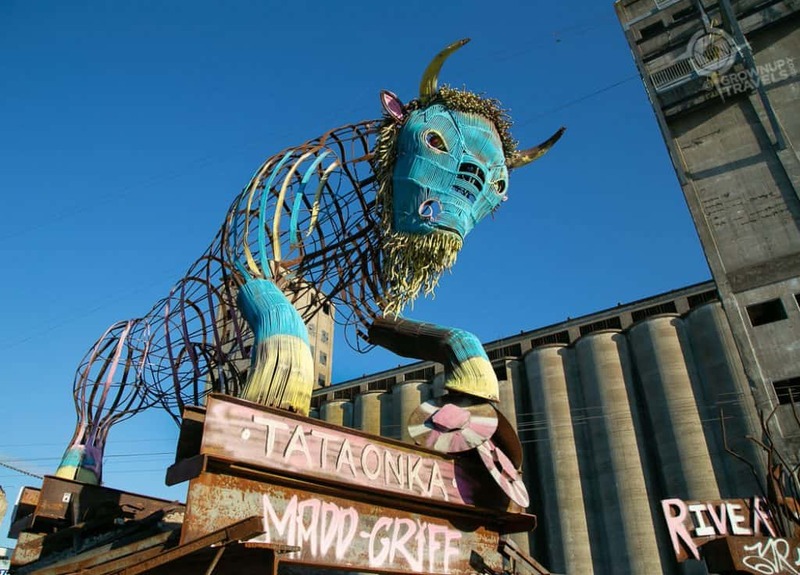 What To Do With Buffalo’s Silos? Buffalo has more concrete grain silos than anywhere else in the world, thanks to its location on the Erie Canal and its history as a huge grain shipping and distribution centre beginning in the late 1800’s. 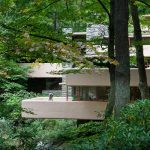 But getting rid of these huge concrete structures to make way for new construction can be costly and difficult. So it takes a developer with imagination to work with them, not against them, and that’s exactly what the people behind Riverworks did. Local private sector entrepreneur Earl Ketry spearheaded the RiverWorks project, working with other partners to turn this Buffalo waterfront space into a massive 4-season sports, event and entertainment district, with a roller derby track, ice rink, restaurants, a concert venue and more. The developers wanted to keep the authenticity of the area, which meant finding creative ways to repurpose the existing silos. 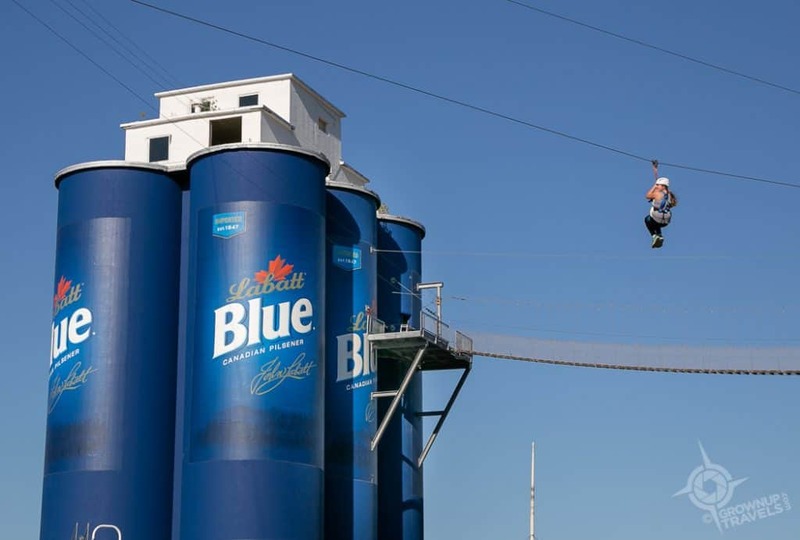 They began by painting a group of 6 silos to look like giant Labatt Blue beer cans. 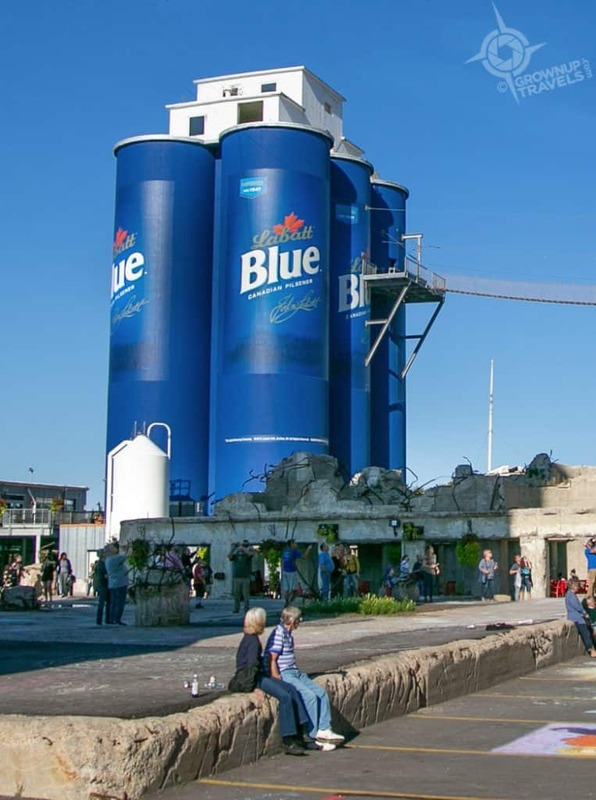 The giant ‘6-Pack’ instantly created a visual icon in Buffalo, anchoring this new development and becoming a playful centrepiece for RiverWorks. More than just an icon, though, this oversized 6-pack of beer now actually houses beer in the form of the RiverWorks Brewing Company, the world’s first craft brewing company to actually be built inside repurposed silos. Then pull up one of the colourful chairs and enjoy that cold beer in another unusual structure beside the 6-pack: the circular ruins of another silo known as ‘Stonehenge’ (or as ‘Beerhenge’ by some). A few steps away from the Labatt 6-pack is a large multi-story structure known at the ‘Bunker’ that includes another group of silos. 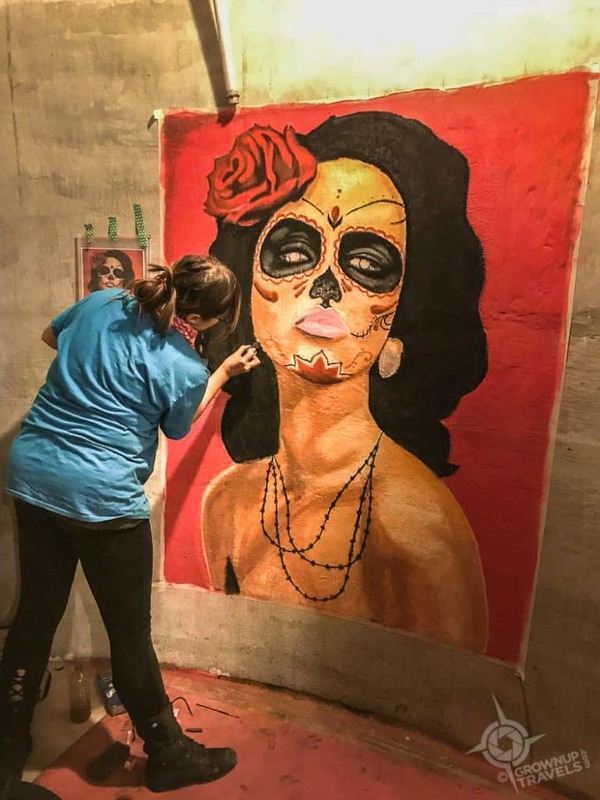 There are plans for the Bunker to become an on-site hotel in future but for now, RiverWorks has found other ways to repurpose its silos: as a community art space. 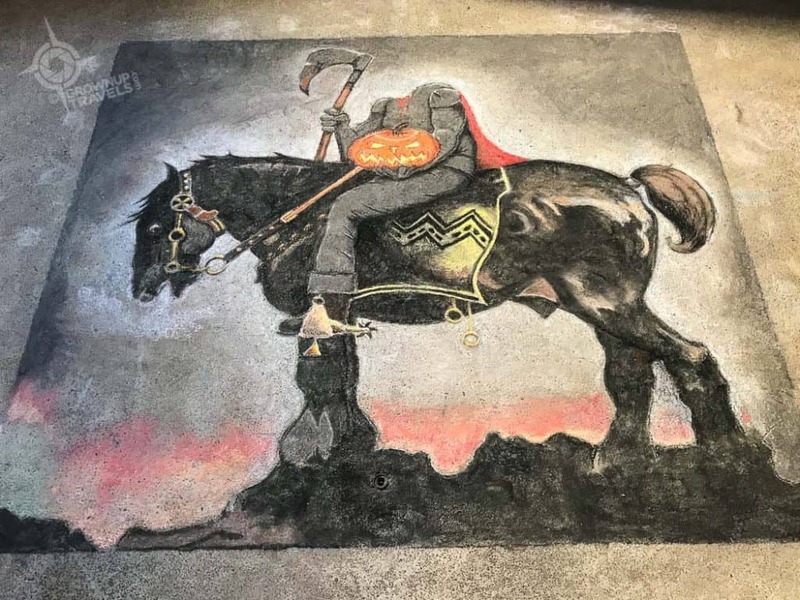 Henk and I were visiting in October during Chalkfest Buffalo, an annual event when local artists are invited to decorate the pavement around the Bunker as well as the interior walls of the silos with Halloween-themed artwork. 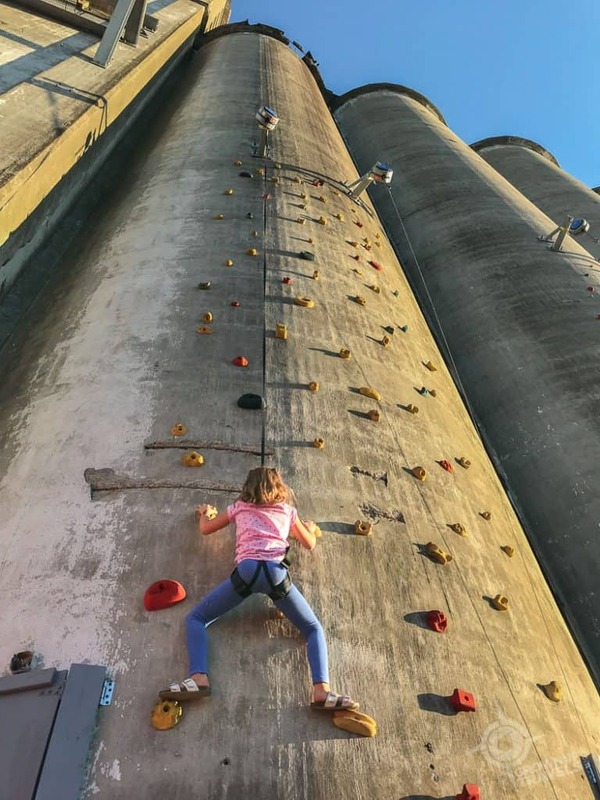 The silos of the Bunker make a perfect rock wall for climbing both inside and out, a recent addition to the adventurous activities available at Riverworks. I was impressed with a young climber who was testing her skills scaling the exterior of these smooth concrete walls. 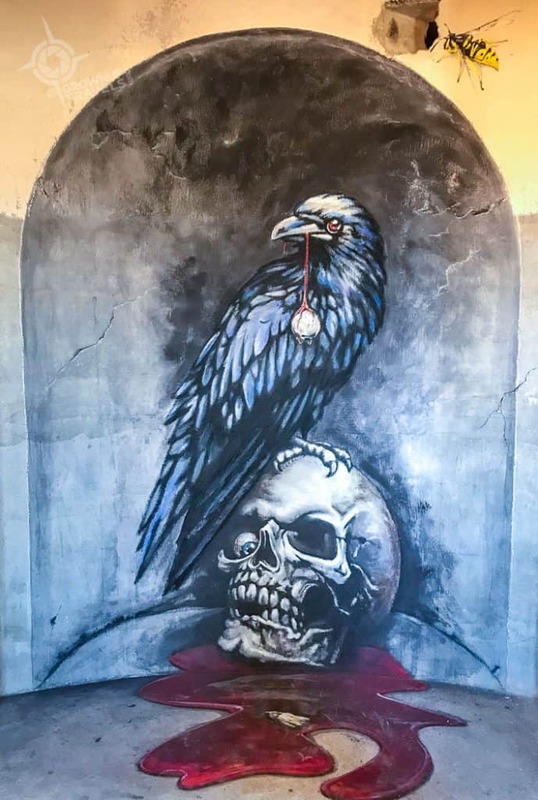 The open space adjacent to the 6-pack and the Bunker is known as “Medusa’s Front Porch”, named for the twisted rebar protruding from the remains of concrete columns that resemble the mythical creature’s head of snakes. 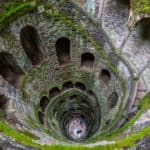 There’s nothing scary here, though, unless of course you are afraid of heights – or sharks: because if you look up you’re likely to spot an adventurous visitor whizzing along a zipline course right above your head. The course starts about 100 feet or so up on the 6-pack, travels to a platform halfway up the Bunker and then zips its riders across to their final destination inside the ‘mouth’ of a giant great white shark in a nearby building. 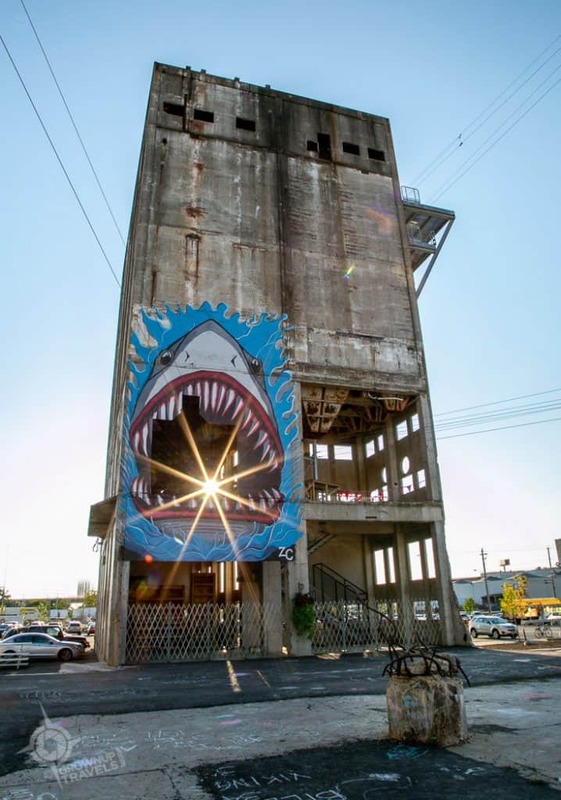 RiverWorks’ zipline ends in the mouth of Jaws! One of the best parts about summer in Buffalo (or anywhere!) 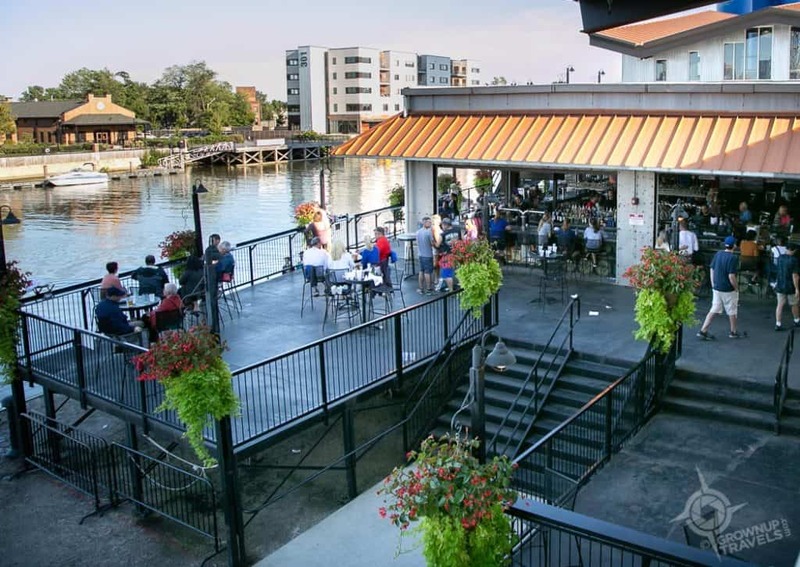 are the outdoor restaurant patios, and there’s no better location for a patio than on the water. Which is why you’ll definitely want to head to The Ward, a 2-level bar/resto/event space beside the 6-pack that sits right on the banks of the Buffalo River. This is the perfect place to grab a spot on the deck, enjoy some casual pub grub and a cocktail and watch the boats go by on the river. You can also stroll along the boardwalk below, or rent a kayak or paddle board at the dock and get right out on the river. 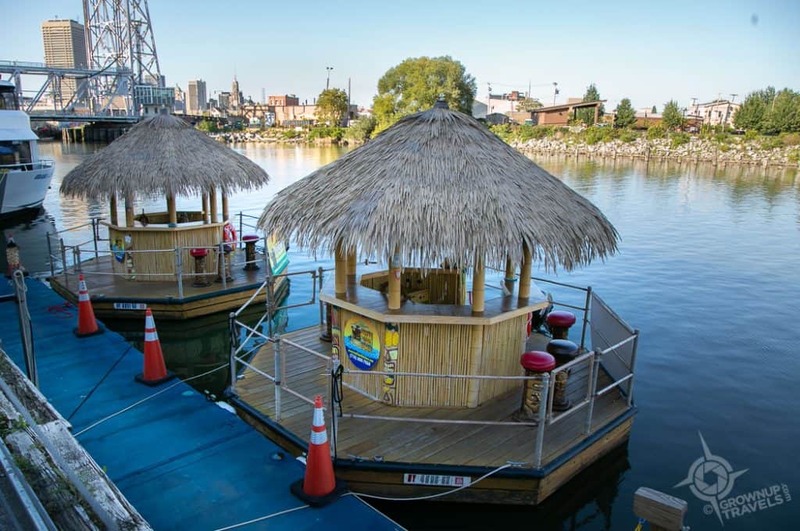 Better yet, hop aboard a floating tiki hut bar and enjoy the best of both worlds: getting out on the water with a cocktail in hand! Attached to the Ward restaurant is another massive complex that houses an indoor rope course and a covered rink that in the summer is used for summer sports and sometimes houses a craft market. Summer means outdoor concerts will be coming to the RiverWorks stage, too, making this venue a major player on the local concert scene. 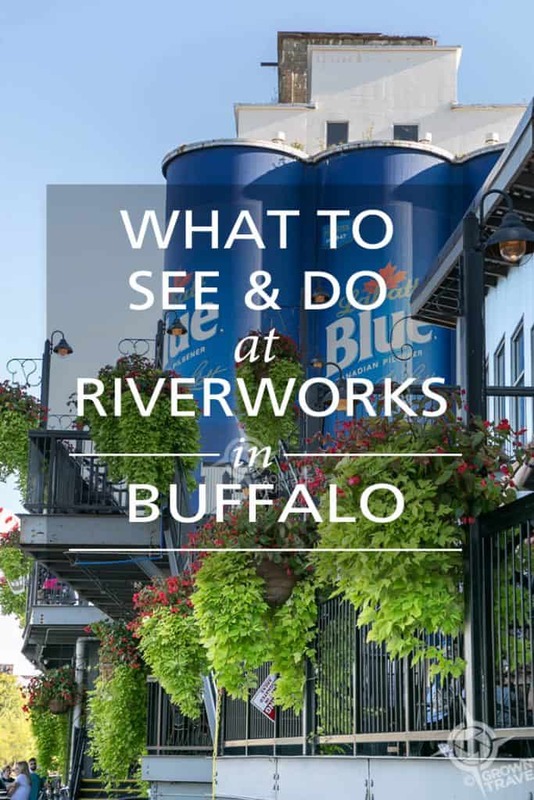 TIP: Riverworks is located at 359 Ganson Street on the south side of the Buffalo River. There is plenty of free outdoor parking (event parking comes with a fee). Visit the RiverWorks website for more information on events. 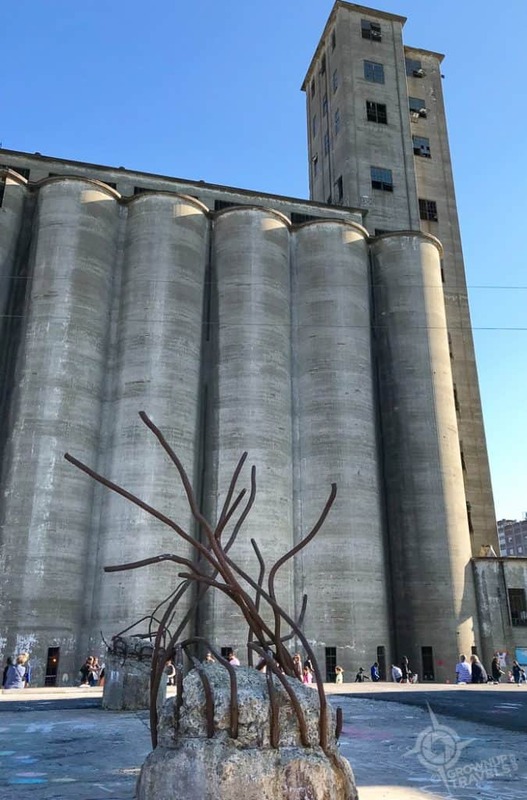 When dark falls, if you haven’t been impressed enough with what Buffalo has done with its silos at RiverWorks, head over to the ‘Central Wharf’ at Canalside. 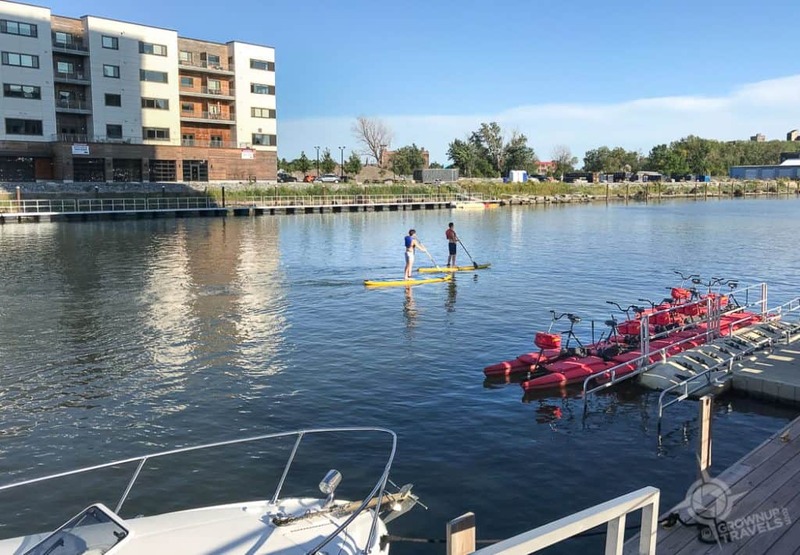 This former harbour was the first major Buffalo waterfront area to be completely transformed from ugly parking lots into a public space that now offers bike trails, restaurants, green space and the perfect outdoor venue for concerts and festivals. At night, Canalside is also the perfect vantage point to watch a brilliant light show across the water: a long set of silos known as the Connecting Terminal becomes the canvas for a spectacular display that runs on a continuous loop from dusk until 11pm or so. More than 550 light fixtures illuminate these silos in a colourful display of stylized trees and flowers that transition with movement and colour, beautifully reflected in the calm waters of the harbour. Henk and I like a good light show, and this was the perfect way to end our day exploring the Buffalo waterfront. 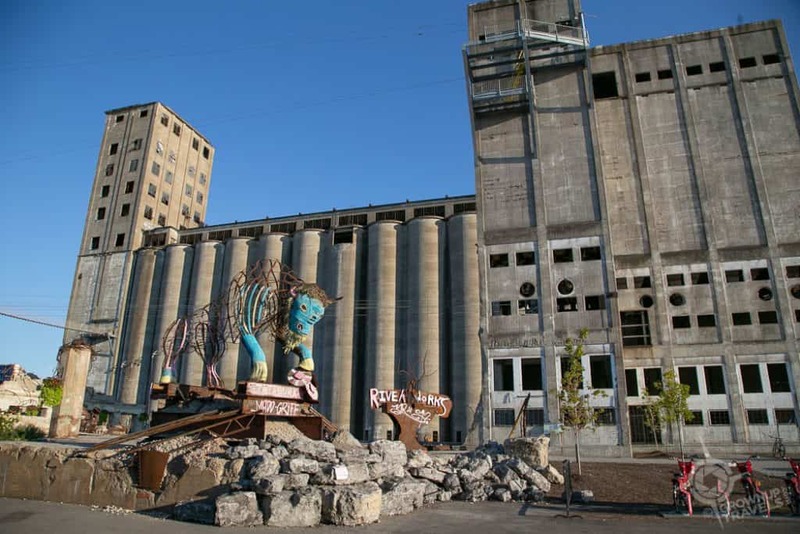 TIP: To learn more about Buffalo’s silos, watch this video about the history and redevelopment of Silo City, another area along the Buffalo river being creatively repurposed. It took vision to transform the Buffalo waterfront into where it is today, and the future holds even more potential, with plans in place to expand on the success of these riverside redevelopments. 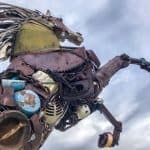 After visiting both RiverWorks and Canalside, it’s clear that with enough imagination, everything old – even very old – can become new again when seen with fresh eyes. If this is what today’s reimagined Buffalo is all about, Henk and I are all in. 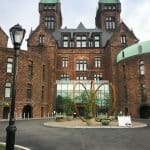 If you are looking for a place to stay in Buffalo that has undergone its own reinvention, read about Hotel Henry, a former insane asylum that has been transformed into a chic boutique hotel. Special thanks to Visit Buffalo Niagara who hosted Henk and I on our visit to Buffalo. I always like to see the creative ways that rundown areas transform themselves. The Buffalo waterfront looks a great place to explore. I agree. Here in Toronto, the Distillery is a perfect example of what was once abandoned industrial lands being converted into a tier 1 tourism destination. My husband went to high school, college and medical school in Buffalo. 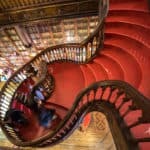 He is going to love reading this post! That’s pretty cool, Irene. I’m sure he’d be interested in seeing the ‘new Buffalo’. It’s much changed in the past 5 years or so! I’ve definitely been to Buffalo in the last five years and yet I’d not heard of this! Very excited to try the craft brewery in the silos. 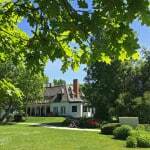 And hope to visit during an arts festival when they have artists making things. The chalk art was beautiful. Thanks! RiverWorks is pretty new, Allison, having a soft launch 3-4 years ago when it was still only partially complete. It seems to have really taken off since then and every year more gets added to the site. That, and the amount of people we saw there even in the fall, says something pretty positive about the place! This looks so cool. I love it when old cities make themselves new…and with such imagination. I’ll probably skip the zip line (been there, done that.) 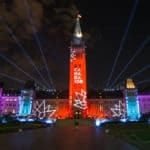 But the breweries and art installations? I’m all in for that. I hope LaBatts footed the bill for a chunk of this, and love that you included your Canadian neighbors. I’m actually one of those Canadian neighbours, Tom (spelled with a ‘u’ of course!). Up here, we used to only hear about Buffalo when one of their ‘4-alarm blazes’ made the news in Toronto, so there’s been a perception that it is not a great city. But all that is changing and it’s completely turning around. They might even be doing more with their waterfront than we are!